A smaller version of our popular and dependable Iridium collar that will operate for over a year. Purchase includes first year's data fees and unlimited SMS text alerts on mortality and geo-fencing events. 100% wireless operation provides greater reliability. Get your animal's data from anywhere you can access the internet. The model G5-2A uses the Iridium satellite to transmit GPS location data collected by the collar. 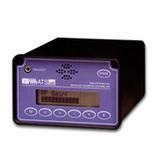 An integrated VHF transmitter allows you to track the animal in the field. Your collar's GPS location data is uploaded to ATS' managed Iridium website (atsidaq.com) according to the schedule you choose. A Google Earth data file is included. Phone text alerts can be programmed for mortality and geo-fencing alerts. 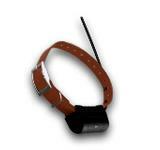 The G5-2A collar is programmed wirelessly using the Wildlink Comm. Module and Windows-based software running on your PC. You can control how often fixes are collected and stored, how often data is uploaded to the ATS Iridium website (up to six uploads per day, each holding 22 locations), and how often the VHF beacon will transmit (this allows you to maximize battery life). You can also remotely command program changes to the fix rate and mortality schedule, fix duration time, and Iridium data transmission interval, using the website. Variable, 200 to 500 days; factors affecting life include number of GPS fixes and Iridium data transmissions per day, visibility of GPS and Iridium satellites, and VHF on-time per day. GPS fix rate, 12 intervals from 10 min. to 24 hrs. Mortality hours, 4, 6, 8, 10, 12 hrs. Specify collar circumference and VHF frequency range. The Wildlink Comm Module, PN 17621, is required, available at nominal charge. 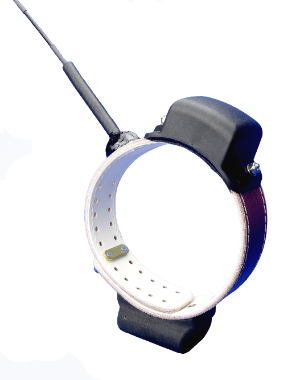 The G5-2A GPS collar is covered by a limited warranty for one year from time of shipment, or up to the calculated minimum battery life, whichever occurs first. This collar may not refurbished. 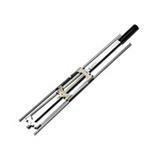 We make the BEST and most RELIABLE telemetry equipment out there, at the BEST PRICE . . . period. We GUARANTEE YOU that we will ship your product as promised, and we GUARANTEE YOU 100% SATISFACTION with our products. That means you won’t have to worry about your order, or your research. Our goal is to make your telemetry work easy, enjoyable, and successful. Contact one of our Consultants today, and we'll make sure you have the right equipment, provide you a same day quote, and answer any questions. A Project Consultant will follow up with you once you submit your quote. What’s next? You can provide more details like quantity, requirements and notes in your Quote Builder, as well as edit and share your quote. © 2017 Advanced Telemetry Systems, Inc.